Eat To The Beat With Your Favourite Song! A Whole Hour of Number 1's! Spencer James Takes You Back! Wind down, sit back and relax with the Chill-Out Zone, playing the best love songs in the galaxy! To date over 1300 songs have reached Number 1 in the UK Singles Chart since 1952. The Number 1's @ 1 play some of these songs that have been lucky enough to get to the top spot. Playing a whole hour of the 80's non-stop! Playing a whole hour of the 90's non-stop! Playing a whole hour of the 00's non-stop! Spencer James rewinds time with the Airplay40 Rewind, playing singles and albums from a chosen year. Can you guess the year from the clues? Find out more about Spencer James. Peter Marsham helps kick-start your Friday night from 8pm with the 'Groove Line', playing club classics and disco from the 70s and 80s. Find out more about Peter Marsham. The one and only Judge Jules presents the Global Warm Up. Paul Baker is on the radio at the weekend every Saturday afternoon from 12 noon. Wayne has 4 hours of Club Classics to get you in the mood for your Saturday Night! Re-live those days that gave us the Crazy Fashions, Rubic Cube, Sony Walkman, and the Pet Rock. Make sure you have the talc and lino down ready for our Northern Soul Show with Peter - playing some classic, rare and special versions of those marvellous songs for fans old and new. Find out more about Peter Marsham. 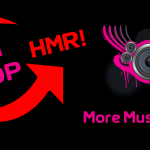 Spencer James hosts Airplay40 playing the Top 40 songs, compiled from station airplay on FM and Online radio stations worldwide. Join Dominic Forbes on Sundays from 7pm as he plays countless Brit Rock hits, old and new.